Sinclair Davidson is professor of institutional economics at RMIT University in Australia, senior research fellow at the Institute of Public Affairs, and an academic fellow at the Australian Taxpayers’ Alliance. In the five years since Australia implemented tobacco plain packaging several European countries have adopted similar policies. France (in January 2017) and the UK (in May 2017) have already fully implemented plain packaging while Ireland, Hungary and Norway are in the implementation phase. Ireland and Norway will have fully implemented the policy by mid-to-late 2018, and Hungary by mid-2019. There is no doubt that these policy adoptions follow the evidence mostly backed by the Australian government, suggesting the policy has been successful. The Australian government had commissioned a tracking study that monitored the introduction of the policy and also commissioned original research that it released with its subsequent Regulatory Impact Statement. Both the tracking study (undertaken by the Victorian Cancer Council) and the Regulatory Impact Statement declared the Australian plain packaging policy to have been successful. Time has shown that this conclusion is far from accurate. It is still very early days in Europe, but the early French and UK experiences are mirroring the early Australian experience. For example, an article in the French media reported that customs duty data showed a one percent increase in tobacco usage in the first four months in 2017 compared to the same period in 2016. This closely mirrors the Australian experience – although the Australian government attempted to cover up the tax data results by fudging the policy start date and ignoring tax refunds on returned products. The Australian government had originally claimed that tobacco excise payments had declined by 3.4 percent as a result of plain packaging. 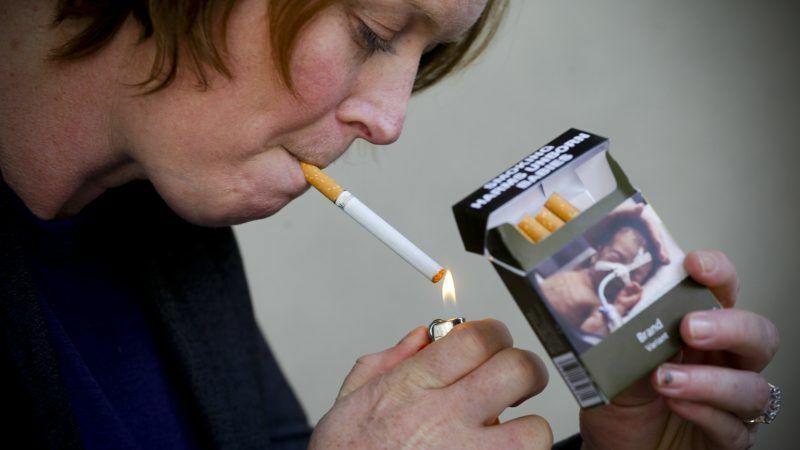 Yet once tax and timing issues had been taken account of, excise tax revenues rose by 0.8 percent in the first year after the introduction of plain packaging. More recently in research commissioned by JTI, the economic consultancy Europe Economics has investigated the impact of the plain packaging policy in both France and the UK. Their conclusions are that the plain packaging policy has had no statistically significant impact on tobacco consumption in France or the UK, and no statistically significant impact on smoking prevalence in the UK. This too is consistent with the Australian experience. In an extensive analysis of Australian Bureau of Statistics household consumption data into tobacco usage, Ashton de Silva and I found that the plain packaging policy had no statistically significant impact on household consumption of tobacco. The National Drug Strategy Household Survey shows no statistically significant decline in tobacco usage between 2013 – the first calendar year after the introduction of plain packaging in Australia – and 2016. So the early data from Europe suggests that the policy has not met its stated policy objectives. That is exactly the Australian experience. Not that the Australian government will ever admit as much. Nor will the public health lobby admit as much. French authorities, for example, now argue the policy is designed to make smoking less attractive to younger smokers. Here too the early Australian evidence is against them. Just last month a paper published in Tobacco Prevention & Cessation – the official journal of the European Network for Smoking and Tobacco Prevention – found that there was no statistically significant reduction in youth smoking in the first year after the introduction of plain packaging. Of course, this doesn’t mean that policy has had no effect. It has transformed a legal branded and often premium product into an unbranded commodity. European criminals, much like Australian criminals, will soon realise that the rewards of stealing and smuggling tobacco will rise substantially while their legal risks drop dramatically. The losers from this policy are law-abiding citizens who now have to compete with criminals and tax-payers. There is no reason to believe that the European experience will differ from the Australian experience on the legal front. If the plain packaging policy were successful in reducing smoking rates and health-care costs, then there could be a legitimate cost-benefit debate about the policy. But it has not done so in Australia and the early European evidence suggests it will fail there too. It seems somewhat immoral to pursue a policy that advantages criminals over law-abiding, taxpaying citizens that fails to achieve its stated goals. And both are paid by big tobacco.